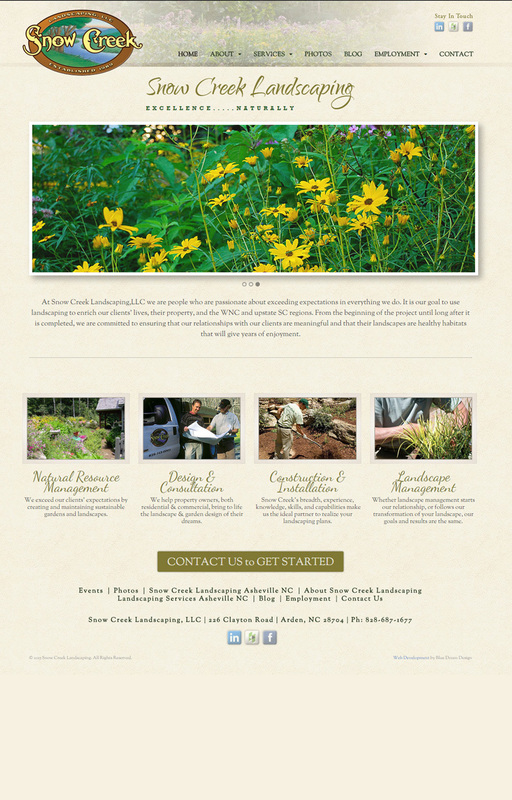 Snow Creek Landscaping in Asheville had a reasonably successful website already, but it wasn’t responsive, and there wasn’t a lot of flexibility. Plus – they were having a hard time ranking well with search engines – especially Google. We designed and built a great new site using WordPress and a good bit of judicious SEO tinkerings. Now, Snow Creek shows up on the first page of Google – with a rocket – and with a site that brings in more visitors and converts those visitors into customers. This fully responsive site makes it easy for Snow Creek to place well with Big G, and it makes it easier to convert visitors. Win! Beautiful, simple, easy and effective. What more could you want?